Choosing an appropriate Jewish monument or marker can seem overwhelming - it may also be a new experience. You may have questions about design options or Jewish traditions, such as the monument dedication. We can help. 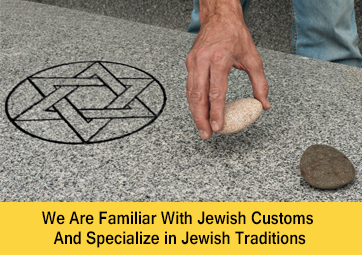 Since 1929, Chicagoland's Jewish community and families have trusted Kornick & Berliner Monument Company to create timeless tributes, traditional and custom Jewish designs for Jewish granite memorials and Jewish bronze memorials that are as unique as the people they honor. 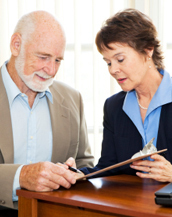 As a Jewish memorial dealer, we take the time to know each customer and listen to your loved one's life story. Then, we craft a headstone that meets your special needs and transcends the ordinary. 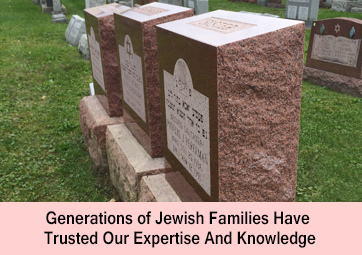 To order a Jewish monument, Jewish gravestone, Jewish headstone, Jewish cemetery marker or memorial, call (773) 764-7600 or visit our showroom at 3058 W. Devon Avenue, Chicago, IL 60659. From generation to generation, Kornick & Berliner Monument Company has been serving the Jewish community of Chicago and the suburbs. We'll work closely with you to determine your needs and create a headstone that uniquely honors your loved ones. We provide full service, including help with Hebrew and Yiddish names and dates. If you are planning a dedication, we'll work with you to ensure the headstone is in place on time. 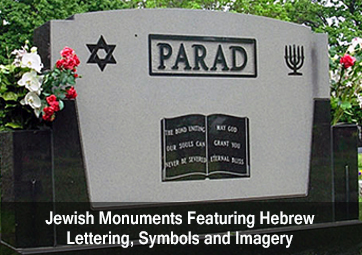 Our firm is considered one the leading Jewish grave marker designers in the memorialization industry because of our commitment to professional standards and the culture of ethical conduct within our business. 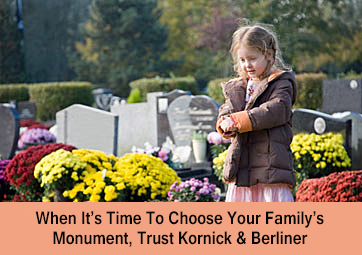 At Kornick & Berliner Monument Company, experience, artistry, and trust define who we are. Our design staff can help you express individuality through distinctive products and unlimited design possibilities. We understand the deep feelings involved in the process of commemorating the life of a loved one. We perform our memorialization work with incredible care and attention to detail. We are familiar with Jewish customs and traditions. Our award winning monument designers, artists, stone carvers and granite sculptors understand the importance of crafting the perfect Jewish monument for people that earned the timeless respect and honor of their families and communities. Get information about Chicago Jewsih headstone, gravestone, monument, memorial, tombstone and grave marker prices, costs, rates and ordering. We pride ourselves on our craftsmanship and want you to be 100% satisfied with the your family's grave marker, headstone or memorial.